I love deer. When I was little my Dad hunted, and venison was our main source of meat. Deer hides and antlers hung in our house, while at school I was incessantly teased for having roast venison sandwiches for lunch. Today a kid like me might be popular (locavore! organic!) but at the hands of cruel school children in an unfashionable small town, all I wanted was a freaking Lunchable. Nevertheless, a certain nostalgia dictates that bands with deer-species-related-names always tend to catch my attention â and surprise! â I often end up enjoying the music (which is what it's all about, man). 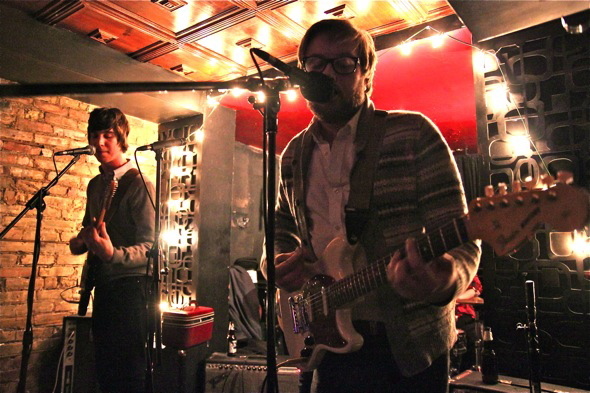 Thursday night I headed to the Central to check out Elk, one of the largest species of deer in the world and a quartet of localish ("Toronto and Niagara Region") boys playing trashy garage rock. 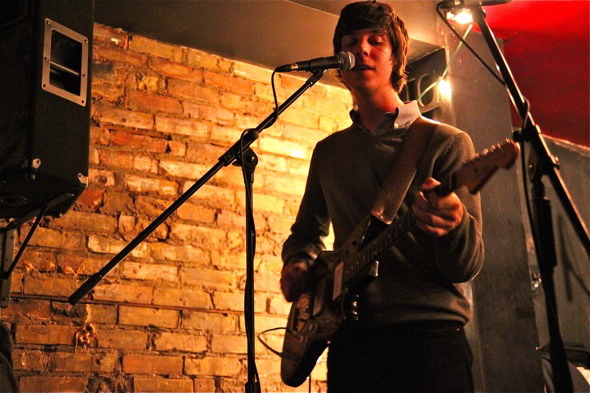 The place was full as Elk played songs strictly from the yet-to-be-released album Sometime in April If All Goes as Planned, which was recorded in September and is set to follow up on March 2011's Balm Beach. They effortlessly blew through a short set of about half an hour, with seamless transitions between songs and a general efficiency a general sense of momentum. One of the few interactions with the crowd was when the band shouted "last one!" and was met with an echo-like chorus ("last one!?!") from the gaggle of girls near the front. 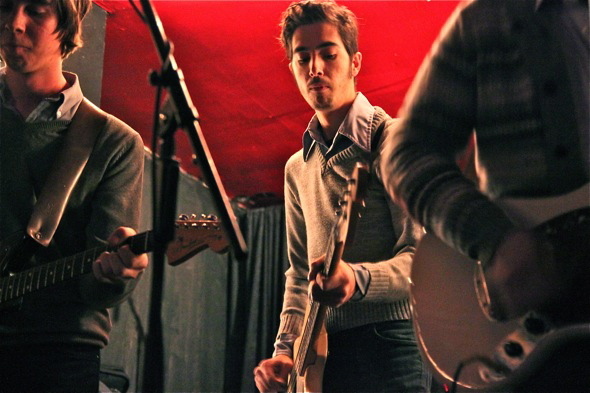 All four members contributed to the lilting, slightly off key harmonies Elk doled out during their set, which is exactly what one wants in a garage rock band. Despite this, it'd be fair to say that Elk lean more towards the punk side of garage rock and less towards the sunnier sounds sometimes affiliated with the genre. They ended with a bang-on cover of The Creation's "Making Time" which, contrary to popular (my) belief is not a Who song- thanks Wikipedia! See kids, you can learn things at rock shows. Despite the alluring scent of greasy nachos and fries, Elk managed to hold everyone's attention and seemed to leave the crowd wanting more.